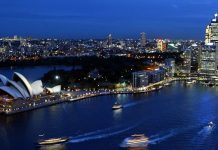 Rules for playing poker and the method for ranking hands is easy to understand and pretty straightforward. 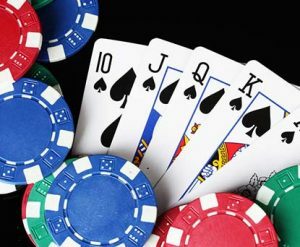 For those of you who want to brush up on the game, or for newbies who want a guide to how the game is played, we are providing this Guide for Poker Hands. This is meant to assist you in developing your personal poker-playing strategy and serve as a handy reference. The best hand a player can get is a Royal Flush. It is quite rare, a straight flush from 10 to Ace, all in the same suit. Nothing will beat it. Like a Royal Flush, all the cards have to be the same suit. It is the same as a Straight, with consecutive cards. The Straight Flush comes in second as the best hand a player can have. This hand can be completed with either the cards on the table or those cards already in your hand. It consists of four cards that are the same, for example, four Aces. The cards obviously have to be different suits. A flush is simply a hand of five cards, all in the same suit. The cards don’t have to be in any specific order and need not be consecutive. If two players in a game have a flush at the same time, the player who has the highest card is declared the winner. A poker player has a straight when his or her cards are in consecutive order and in different suits. Aces are considered 1s and can start a straight if followed by 2. Aces also follow the King. Just like the name says, this hand has three of the same cards, with the additional two being the highest that are available. Two sets of pairs, for example, two aces and two kings. The player then fills the hand with three cards that are the highest available. This may indicate it is time to fold. High card is when you have none of the hands listed above and only one high card. In this kind of poker game, where the cards come from does not matter. This means the player can create a hand from cards being held or cards on the table: two cards in the hand and three on the table; one card in the hand and four on the table; etc. 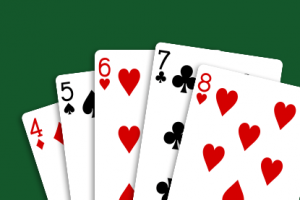 A player may have a hand where all five cards are only on the table. But, most likely when that happens, the opposing player will have a hand at least as good and possibly better. The rules are different in this game and might seem confusing at first. It has a lot of characteristics in common with Texas Hold’Em, but major differences, as well. 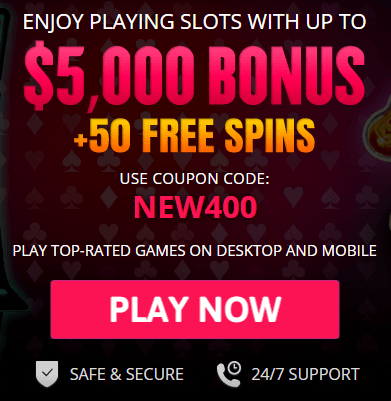 For example, most Omaha games are pot-limit while Texas Hold’Em tends to be no-limit. PLO poker is an acronym for pot-limit Omaha. The first thing that becomes apparent when playing Omaha is that each player is dealt four-hole cards rather than two. Even though you are dealt four-hole cards, you only actually use two of them. When playing PLO, two-hold cards are combined with three cards from the community to make the five-card hand. 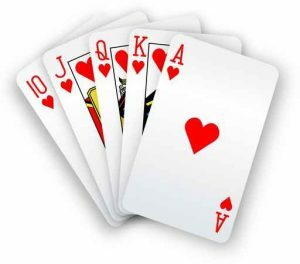 As an example, when a player has what looks like a Flush when he or she is holding Ace of Hearts, King of Clubs, Queen of Spades, and Jack of Clubs and the five cards in the community are King of Hearts, 6 of Spades, 3 of Hearts and 2 of Hearts, it is not actually considered a Flush in PLO. It would be considered a pair (Kings) and an ace kicker. 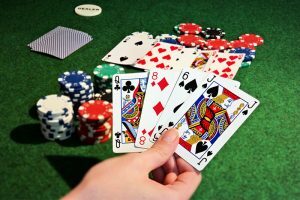 What Are the Major Differences Between Omaha And Texas Hold’em? In Omaha, the player starts the game with four-hole cards instead of the two he or she is dealt in Texas Hold’Em. Additionally, preflop hands run a lot closer as far as equity in PLO than in a Hold’Em game. 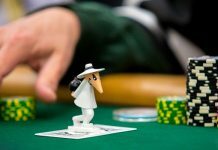 This is illustrated by considering that in Hold’Em, a hand consisting of Ace of Hearts and Ace of Spades would be favored 82.36 percent over a hand consisting of King of Hearts and King of Spades before a flop. 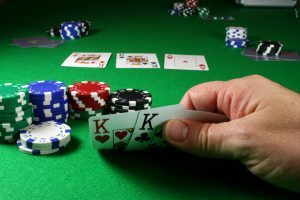 But, in pot-limit Omaha, a hand consisting of Ace of Spades, Ace of Hearts, 7 of Diamonds and 6 of Diamonds would beat a hand consisting of King of Hearts, King of Spades, Queen of Hearts and Jack of Spades only 59.84 percent of the time. There is somewhat of a learning curve in getting the hang of Omaha Hold’Em. 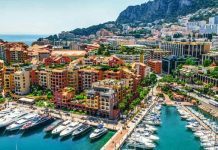 Once you get the basic strategy, however, the game is really fun to play and is increasing in popularity in poker-playing circles. Basic rules of poker exist. The order of the cards follows on to the same order as in many other games of cards. Ace is the highest, the King and Queen are next, followed by the Jack. Then, it goes down by order of number, starting with 10 through 2. What this basically equates to is Aces in a pair beat Kings in a pair or Jacks three of a kind beats the number 7 three of a kind. Say, for example, that both you and the opposing player have a straight. Who wins? Whoever has the card with the highest value in the straight. It goes like this: the player with a straight that runs from 10 through Ace beats the player who has a straight that runs from 9 through the King. This rule holds true for all hands when all hands are of the same kind. In this example, we will imagine a player who has four of a kind. Each hand in poker is made up of five cards. If it is revealed that his or her opponent has four of a kind, too, the fifth card determines the winner. Whoever has the highest card wins. The fifth card can be in the player’s hand or on the table. The same holds true for one or two pairs. When you are playing with a standard deck containing 52 cards, there are a total of nine categories for ranking hands. The exception is when you’re playing under Ace to 5 low rules when a straight, flush or straight flush are not considered recognized hands. When you’re playing a game with one wild card or more, five of a kind is an extra category. A higher rank is assigned when a category contains fewer hands. Amazingly, there are 311,875,200 different ways to deal out five cards from a card deck, and, yet, there are only 2,598,960 unique hands! Those seem like big numbers and it all sounds more complicated than it really is. Remember that learning some basic rules and developing a strategy is the best route to becoming a successful poker player.